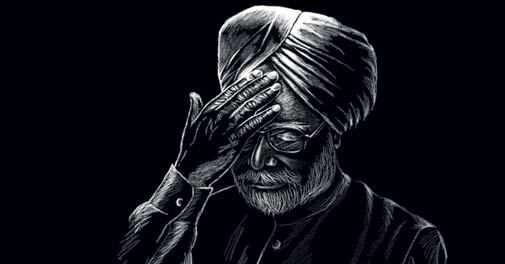 Only four times since Manmohan Singh presented his landmark Budget as finance minister in June 1991 has the economy grown slower than 5 per cent a year. What does the Food Bill mean for govt's finances? The UPA has the dubious honour of frittering away the healthy economy it inherited in 2004 with the wrong types of expenditure and an obstinate failure to boost revenue, capital formation and infrastructure, write Chaitanya Kalbag. Timeless Leadership: 18 Leadership Sutras from the Bhagavad Gita distils lessons from the Gita which modern day executives can profit from. The Kumbh Mela has always been a big business opportunity, but this time companies are going the extra distance to promote their brands by using traditional entertainment and modern technology to connect with consumers, be it middle class pilgrims or ash-smeared sadhus. HDFC Bank MD Aditya Puri discusses the economic situation in India and its impact on banking in an exclusive interview with Govindraj Ethiraj on the show Bottomline, airing on Headlines Today. The mood is cautious, but hiring has not been markedly affected yet by the slowdown, shows an Aon Hewitt report. Examining hiring trends at 173 companies, the study found that around 70 per cent of them had not revised their hiring intent for 2013 in any manner. Sugar maker EID Parry has increased its involvement with critical stakeholders: farmers. It sees them not as suppliers of raw material but as customers. The company, which is part of the Murugappa Group, has worked to make farming a hassle-free occupation. This case study looks at why and how EID Parry achieved the feat. The global macroeconomic environment is improving but India needs to revive its investment climate to make the most of it. Will Sebi's rebranding itself work? Can BlackBerry make a comeback with BB 10?